What Happens To Your Credit When You Break A Car Lease? Maybe you’ve hit some hard financial times, or perhaps you’ve just decided you don’t like the car anymore. Either way, you are no longer going to be making payments on your car lease. 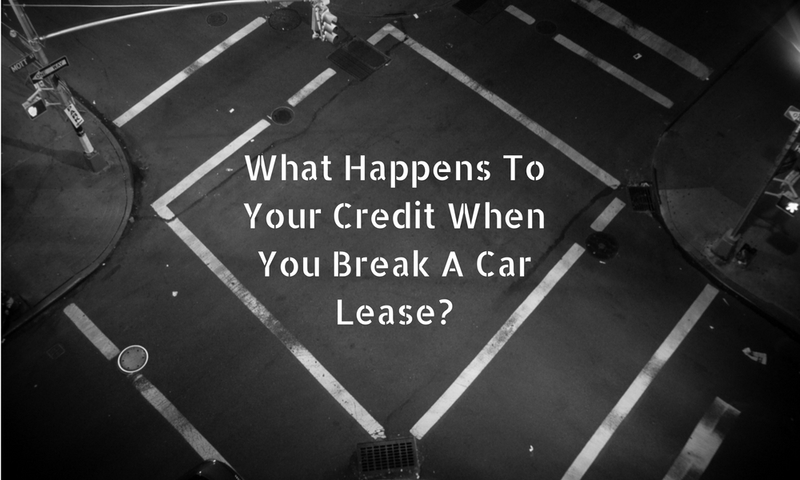 But have you thought about what happens to your credit when you break a car lease? It is quite likely that you have. So we have some information that can help you understand what happens and how to keep it from destroying your credit. If you cannot afford to make payments anymore and stop sending your lender money, then they will eventually repossess the vehicle. In some states, such as Arizona, a lender can repossess your car only 31 days after a missed payment, so you are better off communicating with them if you are having financial difficulties. Failing to pay off your car loan will do major damage to your credit. You can always avoid repossession fees by surrendering the car to lender before it gets repossessed. This would report to your credit as a “voluntary repossession,” which is somewhat less negative than a “repossession,” but still negative. However, you would still be responsible for the remainder of the lease, the early termination fee, plus whatever fees you have to pay for damages (big and small) and mileage regardless of which option you choose. And if you cannot negotiate a settlement on that debt, your credit will still remain just as damaged. If you can find someone else to take over your payments, you can terminate your lease early without taking a hit to your credit. However, there is usually a fee involved for the brokers conducting the transfer, but it’s likely worth it if it helps you out if otherwise your credit would be badly damaged. If you cannot find anyone to take your lease, you always have the option to give the car back and pay off whatever balance is still owed on the lease contract. This can help settle your debt without negatively impacting your credit. This option does not come as the most highly recommended, nor is it the most practical option financially, but you can trade in your vehicle and roll the payments over to the new lease. How does this make sense? You’ll still be paying for the old lease in future payments, and you may still have to pay an early termination fee before that. Here’s how it makes sense: if you downgrade to a less expensive and/or more fuel-efficient vehicle, it can actually be a cost-effective move. On top of that, this may not hurt your credit. If you are in a financial position that leaves you unable to afford your lease, it’s a pretty safe bet that you cannot buy another car and perform the roll-over. So if you’re also unable to find someone to take over your lease, then at this point, your best move is to be honest with your lender and negotiate a credit-friendly agreement. If you talk to your lender, they may let you extend the terms of the lease to stretch out the payments to make them more affordable. This would give you more time to pay off the lease and keep your credit looking good. Do you have any questions about what happens to your credit when you break a car lease? Let us know! Go Clean Credit is here to help. 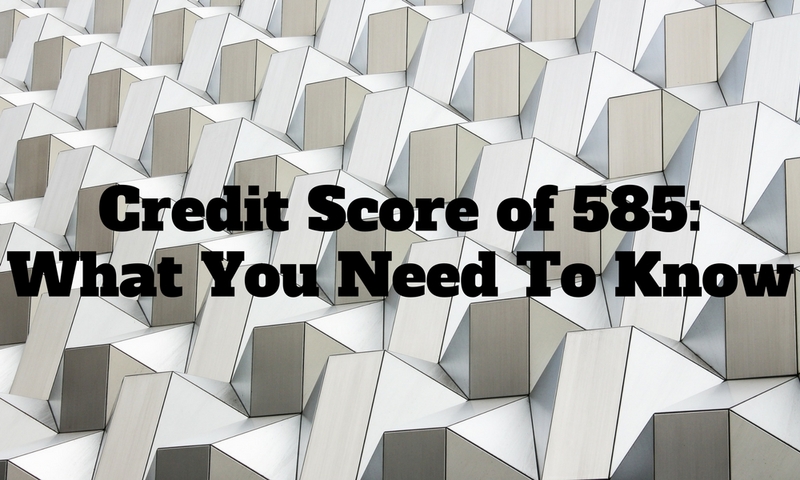 All credit scores are used on a joint mortgage (and you can have more than 2 people). Financial and credit information is collected from all parties who wish to be on the mortgage and the loan approval is based on the collective results. The approval comes after a review has been done of each applicant’s credit history, income, and current debt load. Sometimes applying for a joint mortgage is necessary if one applicant has a few minor credit issues but sufficient income while the other has great credit history but their income couldn’t cover the mortgage. How much the applicants’ combined income amounts to will determine how much they can get for a loan. What if my partner has terrible credit? Let’s say the person you’re getting the joint mortgage with has awful credit. What do you do? For starters, don’t panic. This doesn’t mean you won’t get to buy that house you’ve been eyeing. You should first understand how everything works. How do lenders calculate your mortgage score? When they say they use the “collective results,” it doesn’t mean they take the average credit score of the applicants. Instead, they use their “lower mid score.” Each applicant has three scores—one from each major credit bureau—and the lender looks at the middle score for each. For example: Applicant #1 has three scores of 725, 715 and 699. Applicant #2 has three scores of 688, 652 and 644. The two middle scores are 715 and 652, and the lowest is 652, so that is the score the lender will go with. How do I keep the bad credit from ruining everything? Check your partner’s credit report for mistakes. Having a mistake on a report can hurt your credit up to 100 points, so it’s a great place to start. If it’s credit cards that are causing the problem, then get them paid off. Make sure the balances are under 30% of their high-limit because that plays a large role in your credit score. You can also help their credit by making them an authorized user on an account with good standing. This sounds harsh, but sometimes it has to be done. When your partner has bad credit, having them on the mortgage can often do more bad than good. While combining your incomes can help you get a better rate, sometimes it’s best for the person with the best credit to sign on their own. The good news is, if it’s your spouse you’re leaving out, you can both still be on the deed regardless of who is on the loan. If your partner has problems with their credit, you can always ask a relative who has excellent credit to co-sign can help you get approved. There are different rules regarding co-signers with every lender, as they usually do depending on the type of mortgage you’re applying for. Usually, the co-signer is a good short-term solution while you’re getting into your new home or while your partner is working to rebuild their credit. And when you’re ready, you can take the co-signer off the loan and add your partner. 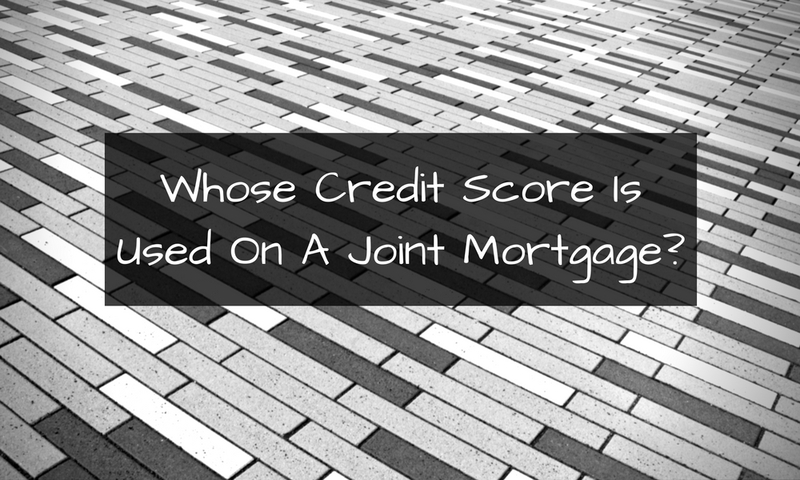 Do you have anything to add about whose credit score is used on a joint mortgage? Let us know! We can help with your credit issues at Go Clean Credit. Owning a home is part of the American Dream. But in today’s world, it’s more along the lines of having a hefty mortgage payment that you’ll probably have until the day you die. And if that is the case, what happens to your mortgage when you die? There are a few things that could happen, but it really just depends on the actions you take while you’re alive. If you do pass away with some of your mortgage left to pay off, chances are none of your family members will have to directly pay it off. The only person who will be in line to pay off the remaining balance would be the person who co-signed with you, which may be your surviving spouse. However, if he or she continues to live in the house, it may not prove to be much of a problem. Your spouse may also choose to use your life insurance policy to pay off what remains of the mortgage, granted that you have one that pays out upon your death. Or, they may choose to just sell the house to pay it off in its entirety. If you’re the sole signer of your mortgage, your lender has the power to decide the fate of your home, which could mean anything. However, you can ensure your home stays in your family by stating in your will that it will go to an heir. Unfortunately, that doesn’t mean they will necessarily have the capability to continue making mortgage payments. This means that, sadly, they would likely have to sell the house anyway to pay off the mortgage. But don’t worry—there are still certain circumstances that could allow your home to remain in your family. Your mortgage lender may call due your mortgage debt if your estate contains a lot of liquid assets, as he or she will be able to use them to satisfy the balance on the loan. While this may not seem like the greatest option since it will reduce the amount of money your surviving spouse or heirs may keep, it is an option that will ensure the bank doesn’t take possession of your home. Your home is still liable to be foreclosed upon by your mortgage lender if your estate is too small to satisfy your debt. However, this process can be stopped by the executor of your estate at anytime if a willing heir steps forward and makes payments on your mortgage. Unfortunately, your home will most likely be sold through a sheriff’s auction if that does not occur. 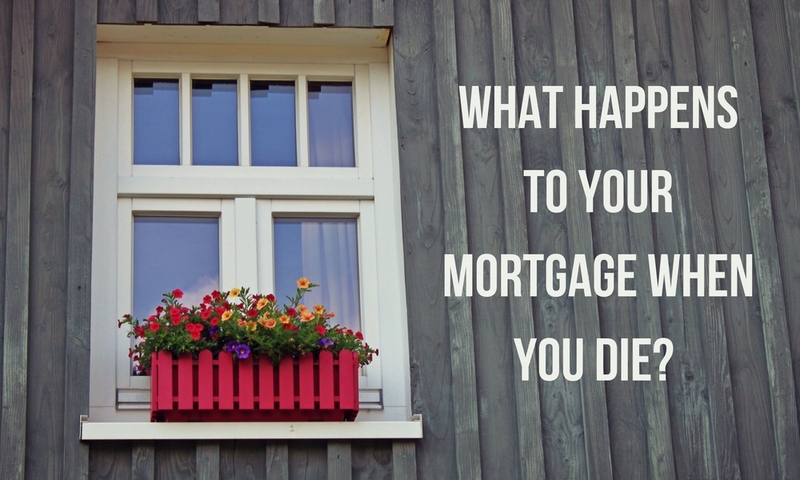 Do you have anything else to add about what happens to your mortgage when you die? Let us know! What Happens To Your Credit When You File Bankruptcy? If you are facing a tough decision with your finances—namely, bankruptcy—it’s important to understand the aftermath. What happens to your credit when you file bankruptcy? How do you move forward following a bankruptcy? Many people consider bankruptcy when looking to relieve debt stress. However, the damage may not be as bad as you think. You also have options to rebuild your credit. A Chapter 7 bankruptcy involves the collection as well as the liquidation of non-exempt assets. The non-exempt assets’ proceeds are then distributed to your unsecured creditors. This is generally a faster process than a Chapter 13 bankruptcy—which calls for a 3-year to 5-year repayment plan. There are a few differences when looking at these two types of bankruptcy, including what happens to your credit when you file bankruptcy. Both Chapter 7 and Chapter 13 cases will be reported under the public record section of your credit report. This same section of your credit report is where court cases involving creditor judgments are listed. For many of those who are suffering from financial troubles, your credit has probably already taken a hit from late payments, judgments, high balances as well as charge-offs. If this resembles your current situation, then your credit score might only be slightly lower, the exact same, or potentially a little bit higher. Bankruptcy can sometimes provide you and your credit report with a fresh start. As previously noted, your bankruptcy filing will be listed – and this occurs in place of judgments or high balances. Thus, it can help equalize your credit report. During a Chapter 13 bankruptcy case, you’ll get the chance to boost your credit score with every on-time monthly payment you make while the case is pending. If you can file a Chapter 7 case, you should be able to begin working to rebuild your credit in just a matter of months due to the typically short duration of such bankruptcy cases. Still wondering what happens to your credit when you file bankruptcy? 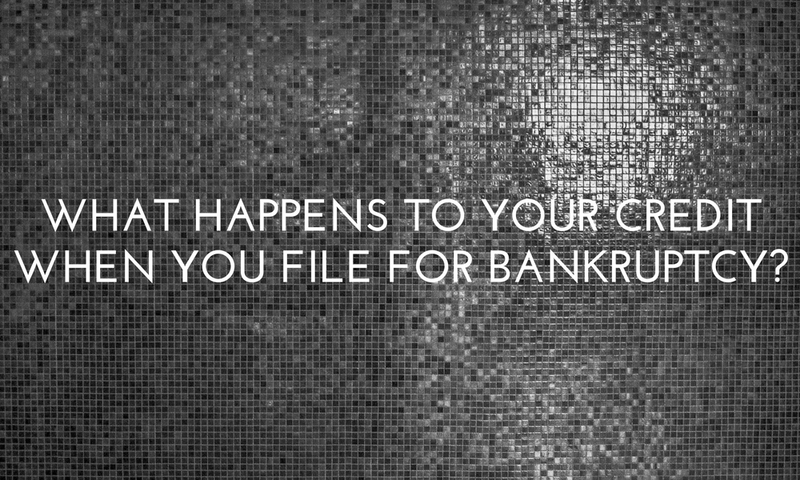 Take a look at Chapter 7 bankruptcies. A Chapter 7 bankruptcy will remain on your credit report for up to ten years. Furthermore, because any debts associated with this type of bankruptcy are discharged within just a few months of filing, they should fall off the report a couple of years before the bankruptcy itself. Generally, discharged debt comes off your credit report after seven years. Essentially, as the items on your report associated with the bankruptcy grow older, they will have less and less of an impact on your credit score. This might also speak to the timeliness of filing for bankruptcy (as opposed to allowing collections accounts to linger and then filing later on). How Long Do Derogatory Items Stay On Your Credit Report? Have you asked yourself, “What happens to your credit when you file bankruptcy?” Go Clean Credit offers effective services to bring your credit score back up. Contact us today! Why Is My Credit Score Not Going Up? Watching your credit score sit at a number and never move can be frustrating. But don’t worry: this doesn’t necessarily mean you’re doing something wrong. If you are one of many people asking the question, “Why is my credit score not going up?” then we have some possible explanations for you. It’s well-known that making on-time payments has a huge impact on your credit score, but just having a good record when it comes to your payments won’t be enough. Obviously, it’s quite important, seeing as it can hurt your score by about 100 points depending on your history, but there’s another important factor to consider: debt. It is key to keep your ever-changing credit balances, like credit cards, as low as you possibly can. It’s all in relation to how you utilize your credit. Revolving credit accounts usually have limits, so the closer you get to those limits, the more you’re utilizing your credit. (For more tips on how to boost your credit limits, read this.) Your credit scores will stay down when you maintain high utilization, which is when your debt is more than 30% of your available credit limit. On-time payments and credit utilization are the most influential factors on your credit score, but there are other things that help determine it, too. It’s also important to keep in mind how often you apply for new credit, the length of your credit history and the mix of accounts in your file. Your length of credit history is a tough one to acquire. You really have to be patient. You can’t make time go by faster, so really all you can do is be an active credit user for as long as possible. A good tip is to keep your oldest credit account open, because your credit age is an average of all your accounts’ ages. Even if you come up with a really great reason to close an old account, consider holding off on doing so. As for mix of accounts, you want to show that you can responsibly manage different kinds of credit, so you want to have active installment and revolving credit accounts to show that. It does not actually mean that much for your credit if your just paying your credit cards on time, so it’s important to have an active installment. It can be fairly tough handling just one credit card account, but if you can manage it well, that can do a lot of good on its own for your credit. 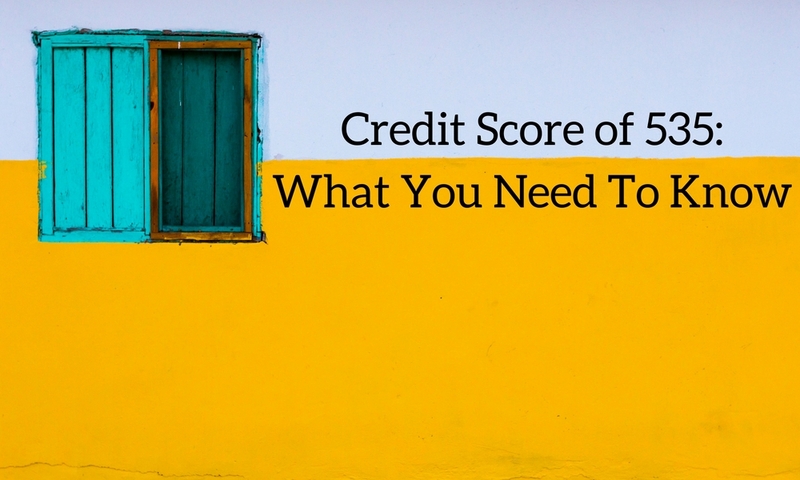 The mix of accounts plays only a small role in determining you credit score, so opening a second account just for the sake of raising a good score to a better score might not be the best move – especially if you can’t manage it and end up in debt. Admit it—we’ve all made financial mistakes. Some are just worse than others. So if you are making every single payment on time and keeping your credit utilization low, but still seeing a stagnant credit score, you may want to look at other aspects of your credit history. If you’ve gone through something negative like a bankruptcy, collection or a foreclosure, that information can remain on your credit report for up to 7 years before you might see the effects lessen. During this time, it can help to focus on the things you can control, like making payments on time and keeping your credit utilization low. If you’re looking for a quick fix on your credit, it can be tough—but we have some ways to boost your score in just 30 days. When was the last time you checked your credit reports? It’s a good idea to look over them on a regular basis because there could be something there causing your credit to stay down. If you find an error on your credit report you can dispute it with each of the credit bureaus reporting the wrong information. These errors can be anything as little as a misspelled name or as problematic as a wrongful late-payment notation. If you find several problems or are overwhelmed by the task of trying to fix your credit, you can enlist the professionals at Go Clean Credit to help out. A legitimate credit repair company will not promise a specific jump in your credit score – that is illegal. 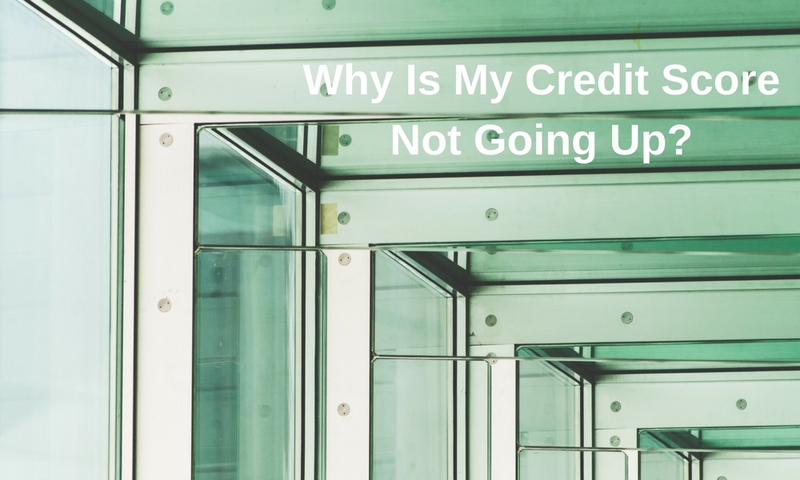 Have you asked yourself, “Why is my credit score not going up?” Do you have anymore questions or tips? Let us know! Divorces are stressful. With so much to worry about between you and your soon-to-be ex-spouse, the last thing you want causing you problems is your credit score. But can a divorce actually hurt it? Not directly. However, your divorce can indirectly impact it. If you have any joint credit accounts with your ex-spouse — mortgage, credit cards, etc. — someone has to pay them. The judge might rule that your ex-spouse has to pay on specific accounts after the divorce, but you have to make sure it’s actually happening. Suppose your ex-spouse isn’t as concerned with their credit as you are. What would be their motivation to pay bills? Especially unsecured bills or secured bills with assets that belong to you? There isn’t any. The worst part is, if these bills are in your name and they don’t get paid, your credit will suffer. It doesn’t matter who is supposed to pay them, whoever’s name is on the account is going to deal with the credit troubles. Hopefully, you and your ex-spouse are on good enough terms that you’ll both do your part financially. But if that’s not happening, you need to make payments on any bills your ex-spouse isn’t covering, regardless of who’s supposed to be responsible for them. If your divorce was messy, you may have spent a pretty penny on an attorney, putting you in a tough spot. Or, if your ex-spouse was the primary provider, you may now have trouble covering the bills on your own. These scenarios can hurt your credit score if they cause late payments or high credit usage. Payment history is the most important factor in credit scores, and anything less than 100% on-time payments can hurt your credit. You may see your credit score drop if your current financial situation makes it impossible for you to pay your bills on time. If you’re supplementing your income (or lack thereof) with credit cards, you may be using too much of your credit. High credit utilization, which is essentially any balance-to-limit ratio over 30%, can decrease your credit score and limit your options financially. Here’s what you can do to free up more cash to pay bills — increase your income or decrease your expenses. Ideally, you should be able to do both. To earn more and spend less, consider working overtime, taking a second job or freelancing during your free time. Completely cut or limit unnecessary expenses by evaluating your frivolous spending. For example, you could cut cable and subscription services, and limit restaurant and personal care spending. While some spouses are able to split with minimum drama, there are many divorces that aren’t so amicable. And if your ex-spouse is one of the angry ones who has access to your credit accounts, they could rack up debt in your name just because they can. This is most common with authorized users because they’re not liable for payment. So if your spouse is an authorized user on one of your credit cards, they can spend as they please without consequences. And being unable to pay off this debt can hurt your credit score. Keeping this from happening is simple. Remove one another from all individual credit accounts as soon as possible. Even the most sensible people act out when grieving the end of a marriage, so don’t just assume your ex-spouse will handle the divorce graciously. This is how divorce affects your credit score – now see how you can build your credit after the divorce is final. 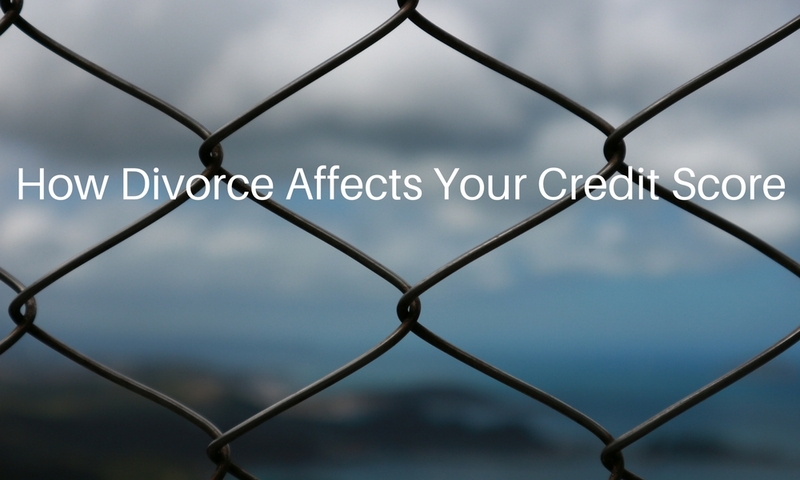 Do you have more questions regarding how divorce affects your credit score? Let us know, and enlist the help of Go Clean Credit to improve your credit score.